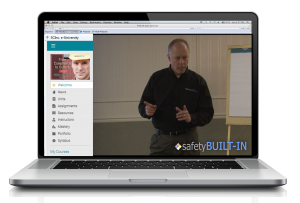 Home Safety-Leadership Training || ONLINE and ON-DEMAND! As Seen in ASSE’s Professional Safety Journal! 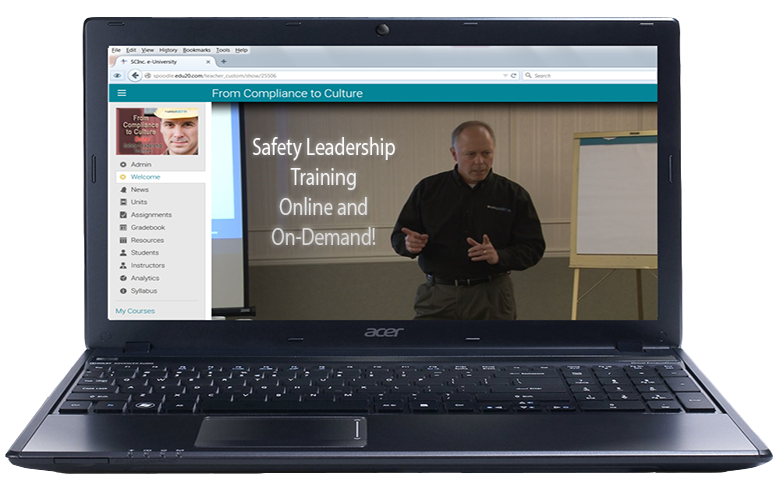 “From Compliance to Culture” Online Safety Training! This is an online safety training workshop in the truest sense of the word–not your typical, static, unengaging online class. It is a roll-up-your-sleeves, get-out-of-your-seat, skills-building experience that imparts real-world knowledge and skills for leading a safety culture in the work environment. The workshop is a radical culture-immersion experience that changes the way we think about safety and the way we behave in safety situations. 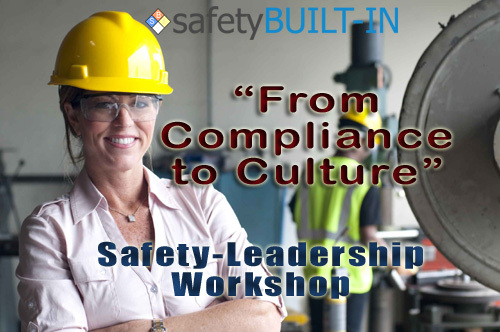 It imparts a common language and vision around leading safety as a culture, develops leadership ability, builds communication and coaching skills, and equips participants with the tools necessary to lead a safety culture. As seen in ASSE’s Professional Safety Journal! Click image and enter access code GVLT-FBXP to start your free trial! This is a college-style online class that utilizes blended learning methods to enhance the student’s learning experience. Participants view recorded sessions of a live workshop, submit assignments, take unit quizzes, and record insights for application that are submitted to and personally graded by a qualified instructor who provides feedback and answers the student’s content questions along the way. This health and safety training class is targeted to those in leadership (or perceived leadership) roles in the organization who are also tasked with leading a safety culture. This includes team leads, supervisors, managers, directors and even VPs of operations, production maintenance, EHS, engineering and reliability, as well as safety-team members, safety officers, safety-committee members, and leadership from the corporate side, such as HR and Commercial. Safety culture starts with the way we think about and what we believe about safety. Culture is about people and relationships, not about compliance to regulations. Safety must be taken out of the category of “highest priority,” and placed in the category of “core value” before it can become a culture. This section is the paradigm shift (or turning point) of the session for attendees. Core values are identified and connected to safety, as are the differences between priorities and values. Participants come away with the clear differences between leading safety as a culture and following safety as a compliance regulation. There is a proven correlation between higher levels of employee engagement and a stronger commitment to safe-work behaviors. Engaged employees are five times less likely to have an accident, seven times less likely to have a loss-time injury, and they cost the organization one-sixth the cost of unengaged employees. They are natural owners of their environment, are actively look for opportunities to contribute, and are natural champions of leading a safety culture—if we just let them lead! This unit explores the “how-to”s and advantages of building employee engagement and ownership in our employees. Participants discover how to apply the drivers of engagement specifically to their own environment. Leadership can be observed in our communication, in our passion, in our authenticity, and in our accessibility. People follow leaders who exhibit a strong leadership presence, who know what they believe about safety, and who communicate it with authenticity and passion. This section focuses on building safety-leadership skills, leadership presence, relationships of trust, responsibility v. culpability, and genuine care and concern for the people who look to you for guidance. Participants learn essential leadership and communication skills to engage a safety culture and are coached on those skills through safety-engagement scenarios. This unit builds on the previous unit by elaborating on best practices for engaging employees in safety meetings, safety talks, pre-job meetings, general production meetings, and other venues for safety communication. Participants prepare for and deliver two separate safety-meeting scenarios (a general safety meeting and a pre-job safety meeting) and are coached on improvements. The unit also covers and uses various tools for holding effective safety meetings, including a pre-job meeting form to help guide participants in creating a meaningful discussion around safety while building safety into each production/operations meeting. Safety leadership must be reinforced through coaching, and coaching must be done in a way that transfers ownership for performance and behavioral changes to the person who is being coached. Our coaching method starts with communicating a concrete goal against which current levels of performance and behaviors are measured. Participants learn established coaching principles, how to generate options for improvements with the person they are coaching, and how to transfer ownership for those improvements and gain a solid commitment for improvements from the person who is being coached. Participants also engage in a real-world coaching situation and report the results. When observing an unsafe behavior, the first step is to stop the action and get the employee to a safe place. But then we must engage the employee in a conversation about our safety-culture goals, behaviors and their consequences, and core values. They must be internally motivated to do the right thing even when no one is looking, and that comes only through helping them connect safety to their own core values. This unit introduces a coaching model that is tailored to each participant and applied to a number of safety-engagement scenarios. Safety cultures are significantly impacted by the degree to which leadership is “present” in the day-to-day activities of the workforce and the extent to which they make a point to observe the work practices of their teams. This is best accomplished through regularly scheduled safety-leadership walkthroughs. But leaders must go beyond the typical management safety audit and focus instead on leadership engagements with their employees to ensure process-safety integrity with safety-critical tasks. This section emphasizes the differences between management walk-arounds and safety-leadership walk-arounds, explores the common causes of missed leadership opportunities during these walk-arounds, suggests the DOs and DON’Ts of intelligence-gathering questions, and lays out a strategy for maximizing our time in the field. Participants prepare for (and submit) a safety leadership walkthrough at their job site. Now that we know and understand the principles of safety leadership, how do we tailor them to our environment? Participants brainstorm real-world applications of the safety-leadership principles and work out an action plan to lead safety as a culture in their own environments. The session ends with a signed safety-leadership commitment from the participant. Need to train a larger-size group? Be sure to ask us about our volume pricing. Or look into our Onsite Safety Leadership Training option! Sign up for a free trial enrollment! Just visit our online university, click “Get your free trial!, and enter GVLT-FBXP as the access code.